Police officers are responsible for enforcing the law and maintain order. They not only require a high school diploma but are also required to go through rigorous training at a police academy. Police officers may also complete degree programs in criminal justice or law enforcement. These qualifications are always looked upon in favorable light when considering a candidate. Besides, candidates are recruited after a number of psychological and fitness tests. The probationary period of police officers may last from six months to three years. After having checked the minimum requirements for becoming a police officer in NJ, you would need to look for opportunities. You can find testing information and job announcements on the New Jersey Civil Service Commission (CSC) website. Here, you may look for job postings related to sheriff’s deputies, as well as police officers. You can find announcements related to the Law Enforcement Examination (LEE) on the CSC website. First, you would need to send an application to sit for the LEE written exam and it will require you to pay $35. The test is offered at different locations in New Jersey; however, it takes place on the same day. While submitting your application, you would need to state your preferred test location. You would have to pass this test in order to become eligible for any entry level positions in law enforcement. Once you have passed the LEE, you become a part of the Eligible Pool for two years. Law enforcement agencies within the Civil Service use the Eligible Pool to select candidates for vacant positions. The Certification List is prepared from the Eligible Pool. It includes the ranking of eligible candidates based on their LEE score and military service experience. The Certification List is assigned to an Appointing Authority and police officers are then hired from this list. However, having your name on the Certification List does not confirm that you will be interviewed or selected for an entry level job present in a police department. Background check is conducted by the Appointing Authority and it is not the responsibility of Civil Service Commission. Every agency or jurisdiction has its own Appointing Authority, which carries out the background check. Although, passing the background check does not mean that the police department will hire you. It is the responsibility of Appointing Authority to arrange the psychological and medical tests the candidates are required to take. You will need to clear both tests to move ahead in the recruitment process. You would need to pass all the above tests. If you fail in even one test, you won’t be able to clear the fitness examination. In addition, retesting is not allowed in physical fitness exam. You would need to go through these tests within the 20 weeks of your orientation at the police academy. 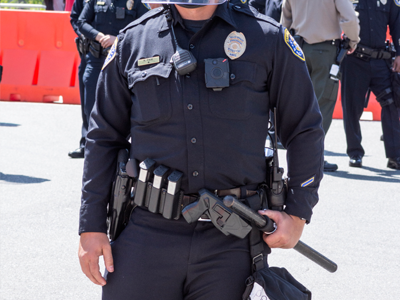 The US Bureau of Labor Statistics (BLS) states that there were 635,380 police officers employed in the US in May 2013. Their mean hourly wage was $28.23, while the median annual wage was $58,720. Prospective police officers are likely to find the most jobs in local government. Other work settings for police officers include state governments, universities, colleges, and professional schools. State governments pay the highest average salary, which is $63,100. The top paying state for police officers is New Jersey followed by California, Alaska, New York and Washington. Q: What are some of the special units that a police officer can be assigned to? Ans: Within a police department, there are a number of different special units which have specialized job duties and requirements. Some of these special units include the special weapons unit, harbor patrols, emergency response teams, motorcycle, bicycle, and horseback units, and canine divisions. To learn more about the individual special units, please check out the website of the police department you’re interested in. Q: What physical fitness standards must prospective candidates meet? Ans: Law enforcement is a physically demanding field, and for this reason, new recruits must be physically fit. In order to pass the fitness examination, candidates must do 28 sit-ups in a minute, 24 pushups in a minute, be able to do a vertical leap of 15 inches, run 1.5 miles in 15 minutes and 55 seconds, and so on. Each of these tests must be cleared in order to pass the fitness examination.